This letter was written by Pvt. 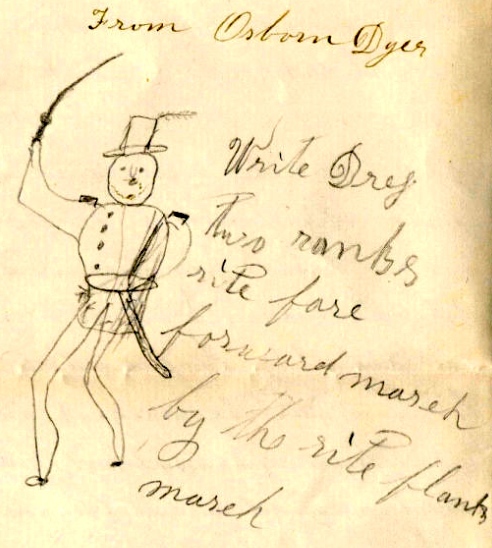 Osborn[e] Dyer (1837-1865), the son of Asa M. Dyer (1805-1868) and Sarah H. Anderson (1806-1885). 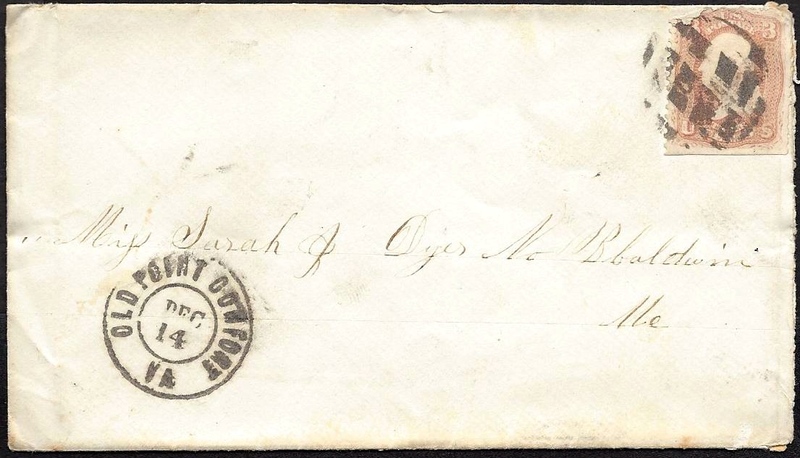 Osborn enlisted in Co. K, 25th Maine Infantry for nine months service (29 September 1862 to 10 July 1863). The 25th Maine was used exclusively in the defenses of Washington D. C. They camped on Arlington Heights and guarded the Long Bridge on both sides of the Potomac River and occasionally assisted in the construction of forts. On the 24th of March they moved to Chantilly, Virginia, and remained on picket duty there until they were mustered out of the service. Osborne was later drafted into Co. D, 9th Maine Infantry and served from 19 September 1864 until 15 June 1865. 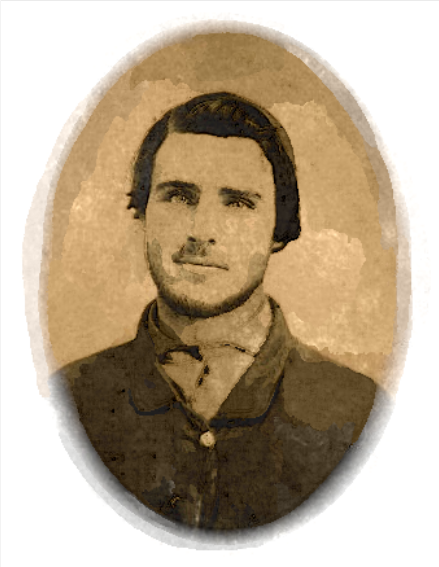 His siblings were Hannah M. Dyer (1835-1928), Sarah J. Dyer (1840-1902) and Clarinda Claudis Dyer (1845-1865). Osborn died on 2 August 1865 at Baldwin, Maine. I notice that his sister Clarinda died on 31 August 1865. I now take my pen to answer your letter which I received the 15th. I am well and hope the same with you all. You ask me how long we should guard Long Bridge. I do not know how long we shall. There is two things we shall do — either guard Long Bridge or go to work on a fort. They have been laying out the ground today. Today the Regiment went to the city to a funeral. It was a Lieutenant-Colonel that was shot by a cannon ball. His horse was there and followed as a mourner. The health of the regiment is better than it was. There has been several cases of the smallpox but it is all over now. George [N.] Gurney is quite sick with a fever. The rest of the boys all well as usual. Clary, you said that you was going to tell me some more. I saw Flavilla’s ¹ marriage in a paper. She married into royalty (now applause). What kind of a_____ did they have when they serenade Daniel? Did they eat all of their _____ apples up? I received your box of candy and was glad of it for I had ____ and it went well. It was bitter as Satan. You tell marn that her letter was short and sweet. You tell Hannah & Sarah to write to me when they get time. Clarry, you must look out for that nose and not let it cause you any trouble. Clary, you said that you was 18 years old. It don’t seem that you was so old. I wish that I had something to send to you but I have nothing. Half of my time is about expired and if nothing happens, you will see it getting late and I must draw to a close. So no more at the present. 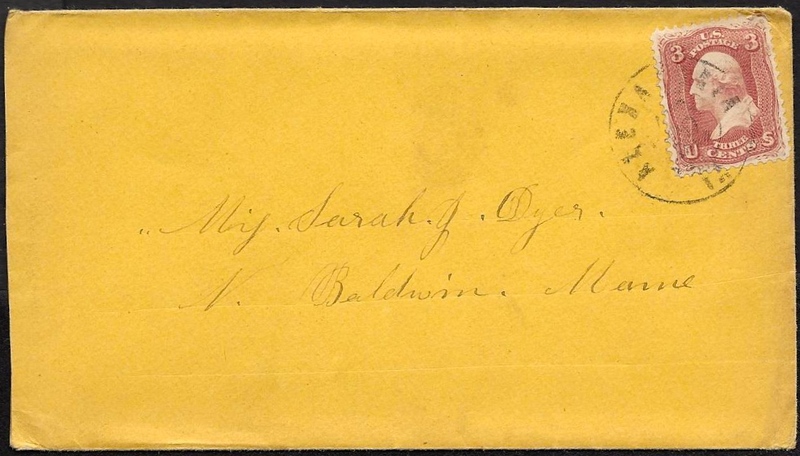 ¹ Flavilla E. Sanborn married Nathaniel P. Allen, U. S. Navy, on 27 December 1862 in Portland, Cumberland, Maine. The marriage took place one day after Nathaniel received his appointment as “Mate” in the Navy. The appointment was revoked four months later. Flavilla was the daughter of Asa and Abigail (Brown) Sanborn, who were born at Standish, Maine, and Baldwin, Maine, respectively. I now take my pen to answer your letter which came to me the 10th. I was glad to hear from home & hear that you was all well. I am well and hearty. I am sorry that there is more military men in town. I guess that you girls will have to come. They are all condemned yankees. We are having a kind of a hard time at present. They are fighting on the right and left of our line. We have to stand to the breastworks about all of the time but they dare not come up to us. If they do, they will get a hearty welcome. There is some snow. I guess a inch. It makes it rather nasty but if the sun should shine, it would soon leave. Our company went out after wood but to our surprise we was ordered in to camp double quick to form as quick as possible. We thought that the Johnnies was close on to us but it was not so. It was to reduce our drum major to the ranks. They took off his stripes in front of the whole regiment. Sam P. is on picket. He is not very ernest to fight. N. W. is gone to deep bottom. I received them mittens. They was just the thing. I want you to send me good wax thread and a sewing ___. You can send it in paper. You tell Pa to look out and get a pig. There is money in the desk already. Don’t be s___ of it for little pigs make pork & money pays well in stock. You must ___ old Pomp & keep him tame. If we stay here, we shall lose all of our men for there was three leave most every day. They think that Rebs will send home but they find that their promise is ____ different for they put them into the ranks. Our Colonel is acting Brigadier. It makes it better for us. I think he will be promoted. We have got a first rate officer in our company. Our Captain’s name is [Benjamin J.] Hill. He can talk & play with his men & don’t feel himself afoul his men. I have not much to write. You must write who is drafted the last time for it our study who will come. I will bid you goodbye. This entry was posted on Saturday, August 23rd, 2014 at 3:15 am	and posted in Uncategorized. You can follow any responses to this entry through the RSS 2.0 feed.